We are Incredible Edible, Totnes. We’re rethinking access to local food, from the ground up. 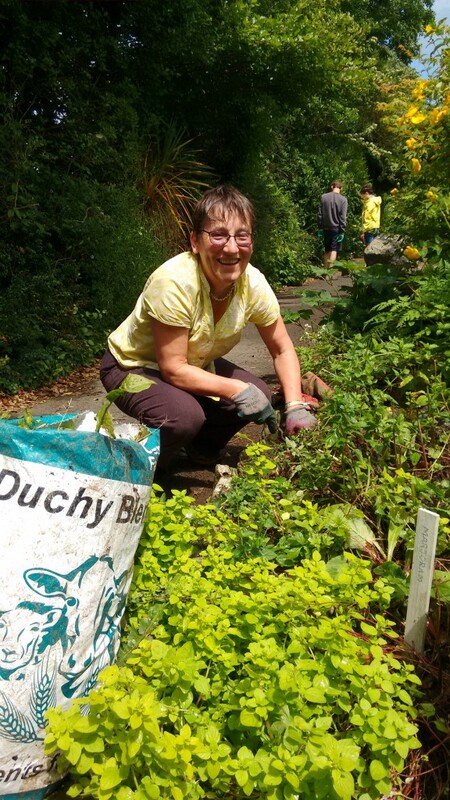 We’re growing fruit, herbs, nuts, vegetables and edible flowers in public and unused spaces across Totnes for everyone to share. We are currently looking for a voluntary project coordinator to join our team of lead and casual volunteers. You’ll help to promote the work and vision of Incredible Edible Totnes and care for our edible growing sites. The role is diverse and flexible and you will have the opportunity to shape it according to your interests and experience. There is also the opportunity to work with the Transition Town Totnes team to explore funding for creating a paid coordinator role. The role requires a commitment of around 1 day per week averaged across the year. Work with lead and casual volunteers to ensure trees and other plants on the various sites are cared for. Inspire others to take part in growing and harvesting the food. Ensure the necessary tools and other materials are available as needed. Maintain the necessary communication with Transition Town Totnes and with the managers of the various sites – Totnes District and Town Council, Devon and Cornwall Housing, Sharpham Trust etc – as well as with project partners. Source funds necessary to maintain the project as and when needed with the help of TTT core staff. You don’t need lots of experience but you do need to enjoy working with people and plants and have a passion for making local food accessible to all. Training which is relevant to your role, such as First Aid training, managing volunteers, marketing/social media, IT e.g. WordPress and Mailchimp. Central support from the Transition Town Totnes office team. Participation in Transition Town Totnes core group and focus groups. Access to equipment and supplies for events, plus use of office facilities. The opportunity to have an induction and handover with Wendy Stayte, who coordinated the project for over 10 years and will help get you started. The possibility to work with the Transition Town Totnes team to explore funding for creating a paid coordinator role. You’ll benefit from a network of people involved with Transition Town Totnes and the wider network of those involved in local food growing projects with whom you can collaborate, learn and share. In March 2007, with a small civic fanfare, 7 nut trees were planted on Vire Island. This was the start of the Transition Town Totnes Nut tree project, aiming at growing nut trees in and around Totnes to provide a nourishing source of local food. Since that time the project has flourished and we have planted over 300 trees, mostly on public land, but also in two local schools and on the Totnes side of the Sharpham estate. Of these more than 200 have survived. 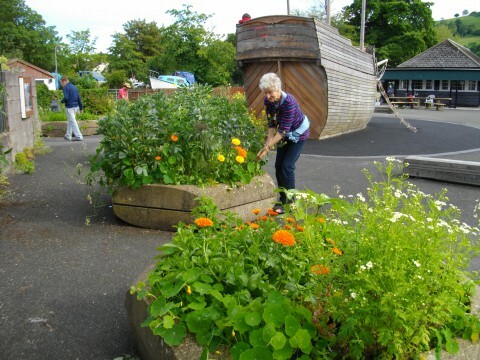 In 2011, inspired by hearing a presentation from Incredible Edible Todmorden, in addition to trees, we started growing edible herbs, flowers, soft fruit and vegetables in public places. In 2012, we started a Forest Garden and tree nursery at Follaton arboretum, which brings together the growing of plants, trees, shrubs and small plants all in one place. Through 2016 and into 2017 Incredible Edible Totnes worked with Orchard Link on Growing Orchard Communities, to encourage people to enjoy, care for and harvest from these orchards. In 2018, Incredible Edible manages a number of different sites including The Follaton Arboretum, Bridgetown Fruit and Nut Trees, Borough Park Rockery and Steamer Quay Community beds.